SOFIA, Bulgaria (BulgarianMilitary.com) – The most important project for the modernization of the Bulgarian armed forces, the one for the purchase of new armored vehicles, continues to be delayed after the latest MoD plans to send request for proposals (RFP) to potential bidders in January failed, and so the future of the project becomes more unclear, learned BulgarianMilitary.com. On Wednesday (6th February), Bulgaria’s Defence Minister Krasimir Karakachanov said he expected this year to conclude the deals for the new fighters and patrol boats, but not for the armored vehicles that are needed to equip battalion battle groups as a NATO basic requirement to Bulgaria. “Unfortunately, the Land Forces’ project is delayed and further efforts are needed if we want by the end of the year, it to be launched,” Karakachanov said. Initially, the current government has forced the preparation process of the project, but according to various sources it has been again postponed due to a great interest in it. In 2016, the then-commander of the Bulgarian Land Forces and current Chief of the Defence, Andrey Botsev, warned that within 4-5 years, they could remain only infantry. The project envisages the acquisition of 150 armoured vehicles (90 combat and 60 special-purpose and support vehicles) at two stages, for three battalion-size battlegroups, as well as automated fire control system for a self-propelled mortar battery, the related communication and information systems, additional equipment (training and simulation equipment), personnel training and documentation. The estimated cost is BGN 1.464 billion (with VAT). Around the project there are very specific technical features that can predict the choice, such as the number of wheels, the ballistic protection level, weapons, etc. Namely, their determination slows down the procedure. For a long time, the decision on the number of the wheels of the main armored vehicles has been a subject of heated disputes, but eventually the most expensive option was imposed – to be purchased 8×8 combat vehicles, but some of the specialized and auxiliary vehicles will be 6×6 and 4×4. Another problematic issue is related to the communication system. 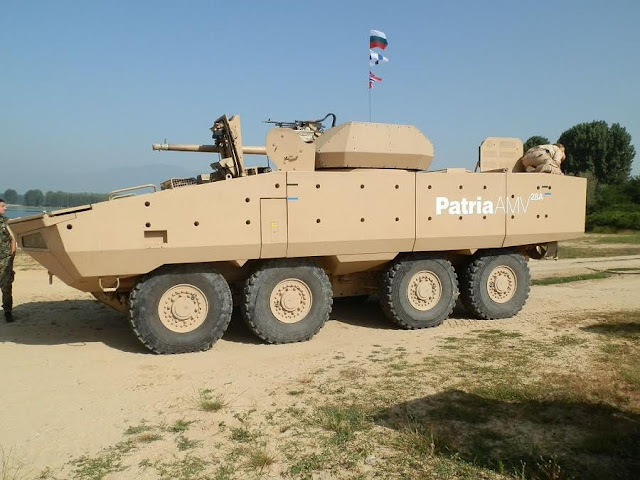 There is also a requirement for some of the armored vehicles and their equipment to be manufactured and assembled in Bulgaria, so 20% of the project money to remain in local companies. This is one of the main problems, according to informed sources of Mediapool. The equipment that can be manufactured in our country is cheaper and moreover, to be engaged the Bulgarian business in the procedure, will lead to new interests and tensions. Wow. Has anyone done an estimate on how the "value added tax" affects European defense procurement? Top line gear costs money but the VAT adds even more to that cost. Why is it a thing?